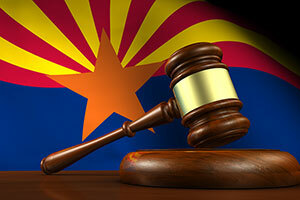 The Arizona Supreme Court has affirmed a trial court’s decision about whether an expert witness can be excluded from observing trial testimony or reviewing the testimony of other witnesses. In Emma Spring v. Timothy R. Bradford D.C., a patient sued her chiropractor, alleging medical malpractice. Emma Spring claimed that Timothy Bradford negligently performed a chiropractic adjustment that damaged her spine. Spring and Bradford each hired two expert witnesses to testify at trial. Spring presented expert witnesses Dr. Alan Bragman and Dr. Daniel Lieberman to testify about whether Bradford’s chiropractic adjustment complied with the applicable standard of care and whether the treatment caused Spring’s injury. Bradford presented Dr. Allan Hamilton and Dr. Robert Iverson as his standard-of-care and causation experts. At trial, both Dr. Bragmand and Dr. Lieberman testified as Spring’s expert witnesses. When Bradford presented his defense, Dr. Hamilton testified. When Spring’s counsel cross-examined Dr. Hamilton, they learned that Bradford’s counsel had provided Dr. Hamilton with a transcript of Dr. Lieberman’s trial testimony. The trial court found that Bradford’s counsel and experts had violated the court’s exclusion order, but that they had not acted in bad faith. The court put the burden on Spring to show prejudice and when she could not show prejudice, it denied her requests to strike Dr. Hamilton’s testimony and preclude Dr. Iverson from testifying. The court also provided the jury with two curative instructions relating to Bradford’s violation of the rule. Spring moved for a new trial, based in part on Bradford’s violation of Rule 615. The trial court denied the motion, finding that the curative instructions and the opportunity for cross-examination prevented any prejudice to Spring. The court of appeals affirmed. The Arizona Supreme Court also affirmed. It found that a violation of Rule 615 is not presumptively prejudicial in a civil action, but that a trial court must take some corrective action. The court also found that expert witnesses are not automatically exempt from Rule 615, but that a trial court must allow a witness to hear or review a prior witness’ testimony if a party shows that an exception is essential to their claim or defense.